Applesauce used to be one of those foods I always enjoyed eating but never ever made from scratch. I didn’t think much about how it was made until one Thanksgiving when we went to visit my aunt and uncle and they had a tree with a bazillion fallen apples that they didn’t want. We gathered them up and brought them home and made applesauce. I was totally amazed at how delicious the warm, spiced homemade applesauce was compared to store bought. Not to mention how easy it is to make! 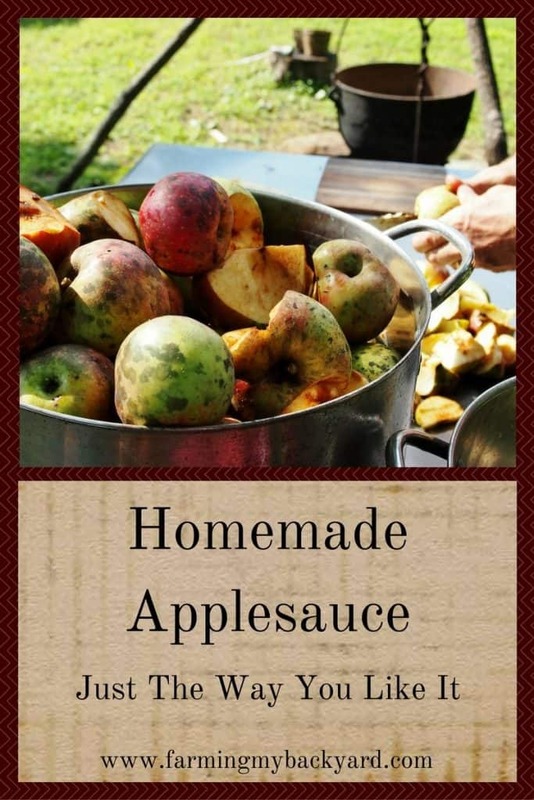 Homemade applesauce is a great project for all homesteaders because apples are so easily available. Perhaps you have a few trees, or your neighbor does. Maybe the farmers market has a great deal. Or maybe you snag the mark down bin at the grocery store. No matter how the apples come to you, you can still make your own applesauce. The really awesome thing about making your own homemade applesauce is you can create it exactly the way you want. Do you want homemade applesauce with no sugar or maybe applesauce made with honey instead? It’s totally up to you! It’s so super simple you don’t even need to follow a recipe. The hardest part is peeling and coring your apples, which if you have an apple peeler, corer, slicer (like this one), is hardly any trouble at all. Peel, core, and slice the apples. Save those peels and cores for homemade apple cider vinegar! Add enough water to cover the bottom so they don’t burn. Cook it until it’s soft. Mash it, or for a smooth sauce, puree in a blender or food mill. It’s all up to you! It’s endlessly customizable, and you can make it exactly the way YOU want it. Easy and deliciously perfect! My favorite is unsweetened, with a bit of cinnamon and a few soft apple pieces for texture. You can even make it in the crockpot! Put all the ingredients in, turn it on and cook for four hours. Stir a couple times to make sure it all cooks down evenly. How do you like your applesauce? Leave a comment and let us know! How funny, I just posted about making applesauce, too. It’s such a simple task, and a great, easy way to use those apples. 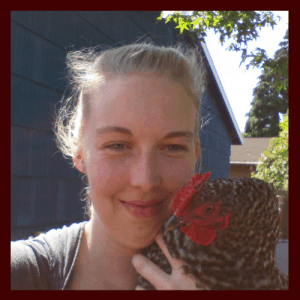 It’s also a great recipe for new homesteaders or cooks to try. It sure is, very rewarding and hard to mess up!